NAKASEKE – President Museveni has asked lazy and corrupt government officials who frustrate foreign investment in Uganda to resign or risk being sacked. 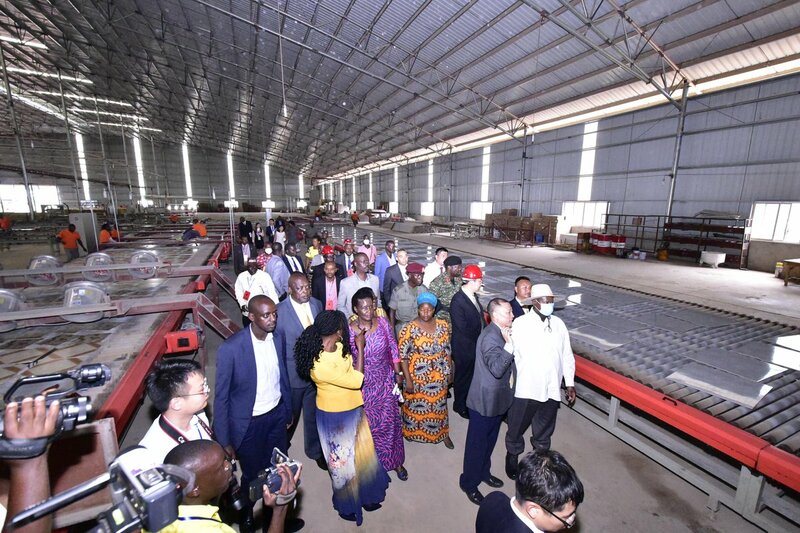 Speaking at the commissioning of new tiles factory called Goodwill Ceramic and Tiles Factory in Liao Shen Industrial Park, Nakaseke District, at the weekend, the President said foreign investors must be facilitated to bring in expert skills instead of being frustrated through increased work permit rates and other bureaucratic procedure. “We still have these lazy armchair officers at the different offices who continue to disturb our people; the investors. I will chase all these saboteurs,” he said. “You are supposed to be looking for these investors and possibly trying to find out the challenges they face and not frustrating their efforts. You can go and rear goats if you do not want to deliver,” he added. He praised the Chinese investors for being pro-active. “The Chinese are not just talkers but doers. We have our friends who are very good at talking; lecturing us on many other subjects and stop at that. This is not the way the Chinese work,” he said. According to Liao Shen Industrial Park Director Lui Ming Shu, Goodwill Ceramics Company limited began producing tiles in May 2018, making 200 different tile designs for both local and international markets. The factory has a production capacity of 40,000 square metres of tiles per day,. Mr Zheng Zhuuang, the Chinese ambassador to Uganda, said the investment underlined the great and still growing Uganda-China relations. He promised that more Chinese companies will invest in Uganda.